This session will be based on 80% theoretical inputs and 20% practical inputs. Why decide now to take AWS CWI exam? Because 95% of the surveyed AWS CWI agree that they should have taken the AWS exam much earlier in their career and that it had a POSITIVE IMPACT on their career… Do you want to regret later? AWS CWI involves great responsibility and remarkable skill demonstration. The CWI® is widely recognized, both nationally and internationally, and successful companies have come to rely on this AWS certification when ensuring the highest level of quality workmanship. As a Certified Welding Inspector, you will find this career path lucrative and rewarding. I am a Welder, I am a Welding Supervisor, I am a Welding Inspector, I am an Engineer & I want to drive efficiency with my team. I want to take my career to the next level. How can I do it ? Certified welding inspectors play a vital role in the fabrication and manufacturing and maintenance industry. Their responsibilities have a direct responsibility on final product quality and safety of public By adhering to specifications and following an inspection plan they help industry avoid repairs and costly project delays. Eligibility requirements are a minimum of two year’s welding fabrication or inspection experience or completion of a recognized course in the fundamental principles and practices of welding and quality control and inspection of welding. While educational courses are not obligatory for certification, candidates who want to prepare for the certification have an excellent resource through the various modular learning programs offered by the AWS. Why Choose Eurotech For Your CWI Exam? Eurotech has the ONLY ACCELERATED LEARNING TRAINING for Welding Inspection leading to AWS CWI. Our Group of experts are not only Welding Experts but involve a group of passionate educationists. How Many Days The Course Is? The course is of 6 days duration followed by a exam on 7th day. Eurotech additionally gives 3 day preparatory training for Part B and Part C well before the seminar. What is the AWS-CWI CWE course content? The Welding Inspection Technology Workshop is packed with information on nondestructive examination methods applicable to common welding processes. It will assist welding inspectors and welding educators with knowledge of welding and inspection fundamentals useful on the job site. In addition, this seminar will prepare examination candidates for Part A (Fundamentals) of the CWI examination. This workshop provides hands-on training in the use of weld measurement tools and plastic weld replicas to determine the sizes of various weld discontinuities. Students will compare what they find to the criteria in a sample codebook to determine the acceptability or rejection criteria of the sample weldments. The workshop also includes a sample practical examination to prepare test candidates for Part B (Practical Applications) of the CWI examination. How to ensure compliance with the applicable code. Do’s and don’ts of documentation. When a discontinuity is acceptable. When a discontinuity can be rejected. Why visual inspection can be the most effective NDE technique. This four-hour course covers general provisions of API 1104, including qualification of welding procedures for welds containing filler-metal additions, design and preparation of the joint for production welding, nondestructive testing and acceptance standards, and automatic welding with and without filler-metal additions. The Seminar is mandatory to attend before going for examination a 40 hrs training is required to review and understand the knowledge which cover,covering AWS QC1:2007 standards. 3 days of the seminar will cover the “Fundamentals” part of the examination that covers Interpretation of documents. Metal Joining and Cutting Processes. Weld Joint Geometry and Welding Symbols. Documents Governing Welding Inspection and Qualification. Metal Properties and Destructive Examination . VT and Other NDE Methods and Symbols. Introduction. Duties of a welding inspector. Mathematics and metric conversions. Oxyacetylene welding, brazing and cutting. Gas tungsten arc welding/plasma arc welding. Visual inspection discussion with lab. 1.5 days will be used to cover the “Practical applications” part of the examination. Practicing visual Measuring tools, equipments and weld replicas and further to the acceptability and rejection criteria of sample weld. Step-by-step welding lessons, lab recommendations, classroom activities, review questions, teaching standard crosswalk, video analysis and involvement of participants. Why Attend Our AWS CWI 3 Day Preparatory Course Over And Above 6 Day Seminar? Our 3 Day Preparatory course is normally 10-15 days before the start of the official 6 Day Seminar for AWS CWI. 4. The orientation course helps in discovering the course syllabi and also the difficulty level of the questions that come in a typical AWS CWI exam. This increased familiarity helps in gaining key points during the seminar. Please mail to c.khatri@eurotechworld.net for course Details in INDIA. Please mail to n.khatri@eurotechworld.net for course Details in MIDDLE EAST. Want To Take a AWS CWI Practice Test? After filling their details a username and password will be generated. Using that username and password they can give practice test on our website and check their preparation even before taking up the course. In this way they can analyze your performance and check how much preparation you required before taking the exam. Please be aware that it is your responsibility to renew your certification before it expires. You will not be allowed to renew your certification after the expiration date. In order to re-certify after your certification has expired, you will be required to test on all parts or part B of the CWI/SCWI examination. To qualify for a renewal, all CWI applicants must attest to having no continuous inactivity two years or greater, of the three-year certification period, in the practice of welding inspection .This work experience must be documented in the Qualifying Work Experience section of the application. Resumes are not acceptable. Additionally, you must also provide a current Visual Acuity Record with your application. The Visual Acuity Record cannot be more than (6) months prior to the date of your certification expiration. Eye examinations must also be administered by ophthalmic medical personnel. After June 30, 2006, applicant must be re exam and training for AWS CWI. For Non member: – 600 USD. CAWI applicants whose scores on each part of the examination met the requirements of a CWI but lacked the mandatory (5) years experience are eligible for a CWI upgrade provided that the CAWI status is still current. Please document any additional experience you have had since initially taking the CWI/CWE examination in the Qualifying Work Experience section of the application. Certification personnel will review the additional experience to ensure that the (5) year requirement has been met. • Check the appropriate box indicating the purpose of this application. • Visual Acuity Record enclosed. Why Do Our Candidates Have a Better Pass Percentage? Our team continuously focuses and improves the our method of teaching. We have designed code familiarization exercise which helps memorizing important aspects of code. In addition we have designed two practice sessions for Part B . This has been greatly appreciated by the candidates who have told us that this increases their chances of clearing Part B. How To Renew Your CWI Certificate? Is it time for you to renew your CWI? The period of validity for AWS-CWI certification is three (3) years. The AWS-Certified Welding Inspector shall be responsible for maintaining a current address with the AWS Certification Department. Submit an approved renewal application to the AWS Certification Department by the expiration date of the current certification and no earlier than 6 months prior to the expiration date of that certification. AWS may send a renewal notice, but if not received, it remains the responsibility of the AWS-CWI holder to renew on time. The AWS-CWI holder requesting renewal of certification shall attest to having no period of continuous inactivity greater than two years in activities during the previous three years of certification. 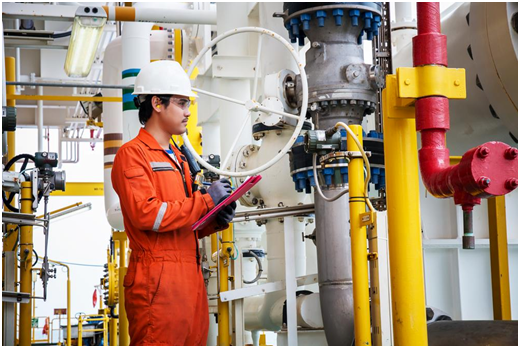 AWS-CWI holder not meeting the requirements of 15.4 from AWS QC1 may renew by taking the CWI part B Practical exam and meet the scoring requirements of 6.2.2 of QC1. AWS-CWI certification renewals are limited to only two consecutive three-year periods. After June 30, 2017, applicant must be re exam and training for AWS CWI. The AWS-CWI renewal fees subject to change from time to time. Please call or mail us to know the renewal fees. How to Prepare for Certified Welding Inspector (CWI) Exam? Every time we think about exams it gives us goosebumps. But to achieve anything what we require utmost is investment of two things: good amount of time and commitment towards achievement of the goal. Basically the test is divided into three significant sections. Before commencing any preparation, it is important that we take a practice test and see where do we stand in terms of subject knowledge. Depending on the score you achieve during your practice test, one can design a routine to take down the preparation. This exam is divided into three parts A, B, and C.
Part A consists of the basic Welding knowledge, comprising of 150 questions According to the QC1 the CWI Part A exam contains a minimum of 150 questions that must be answered within a two hour period. Part B tests a range of inspection topics, including welding examination and non-destructive testing. This part contains at least 46 questions that must be finished in two hours. For Part B you’ll be provided with visual inspection tools, plastic replicas of welds and a sample codebook. Part C just makes an analysis that what is the ability of the exam giver to locate and understand information in a code book. Part C of the CWI exam contains a minimum of 46 questions. All parts of the exam require you to get at least 72% of the questions correct. And finally preparing for the complete course it takes 35 – 40 weeks concluding to be 10-12 hours of study in a week’s time. So if you are planning to take up CWI exam, good luck to start up with a new career.